How refreshing to find a black metal band where the musicians don't coat their faces in corpse-paint and also don't have names like Grünzh, Grakh and Grumble, but just plain old-fashioned names like Larsen, Ronny, Andreas, Gary, Andrea and Michael. 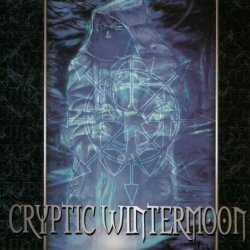 It's hard to pick a best song, which is no mistake, as Cryptic Wintermoon as keeping a constantly high level throughout the entire album. So if you are into the more melodic side of black metal, you can't do anything wrong by getting A Coming Storm. 8 solid points.